Enjoy FREE SHIPPING in the U.S. on all orders from now until January 1st. FREE SHIPPING! Is there a better way to say "I Love You" than in an ancient language of Ireland? 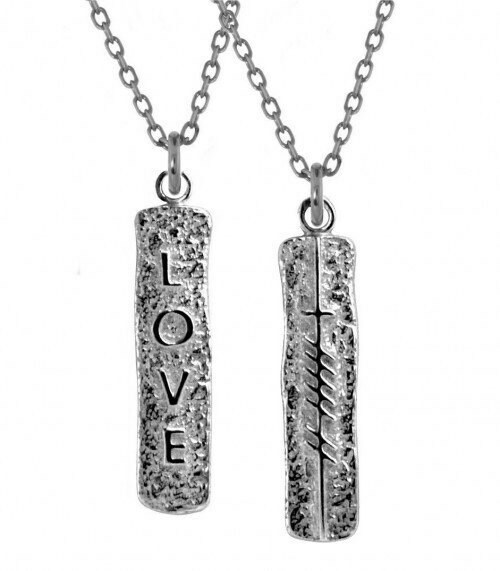 Love on one side, and its Ogham translation on the other. Ogham is one of the earliest recorded language systems, dating from approximately the 4th century AD, each cluster of lines represents a different letter in the Irish language. This is a unique artisan piece that will be treasured for a lifetime.